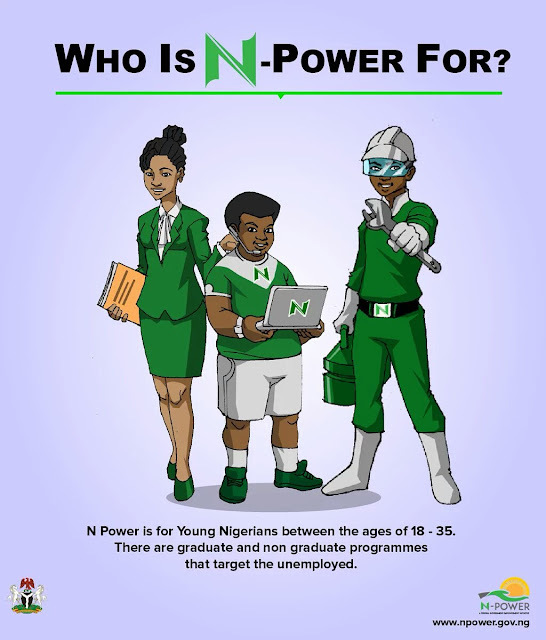 Following the recent launching of the Federal Government's N-Power Programme which seeks to assist the vast unemployed graduates of the country in skill acquisition and garnering of work experience, indications have emerged that Obafemi Awolowo University graduates of the 2013/2014 and 2014/2015 academic session are not eligible for the programme. Barring any personal issue, OAU graduates from the 2013/2014 session are currently serving through the Stream I or 2 of the NYSC Batch A Service. 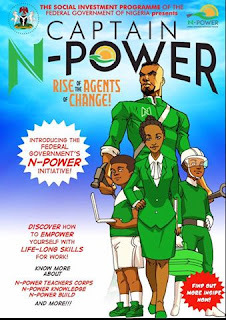 One category of those exempted from applying for the N-Power Programme is the current crop of serving Corps members. That way, these ones have been screened out. Also, those who finished their programmes during the 2014/2015 academic session are not also eligible because they have no certificate to tender for application. One of the requirements for application is that applicants should be a Bachelor's degree holder or Higher National Degree holder. According to reports garnered, the federal High Court, Osogbo has again adjourned the case of Non Academic Staff Union (NASU), OAU and the management of the Obafemi Awolowo University management till Friday, 17 June, 2016. From reports gathered by some correspondents of The Insider News, the Judge had to postpone the hearing due to the death of the Judge handling the Senate President, Dr Bukola Saraki’s CCT case. The Judge is to be mourned for two days (Friday and Saturday). The late judge, Justice Steven Evoh Chukwu, was said to have passed on in a hospital in Abuja. The Chairman of NASU, Comrade Wole Odewunmi said, “we have filed a case on contempt of court as the management went ahead to appoint a vice chancellor despite the court order, we produced the publication by Tribune announcing that OAU has appointed a new VC to the court and that affirmed our claims”. The Senate of the University of Ibadan in its sitting today has fixed Wednesday June 15, 2016 has resumption date for Students' of the University of Ibadan after the closure of the school for more than a month. Lectures are to resume on Monday, June 20, 2016 following the newly released and revised academic timetable. However, students are yet to know the fate of Ekpeti Tunji "Mote" who is the symbol of solidarity in the current struggle against Students' Victimization in the University, as nothing has been released concerning his appeal. Students' all over the country continue to await the decision of the University on the Issue. 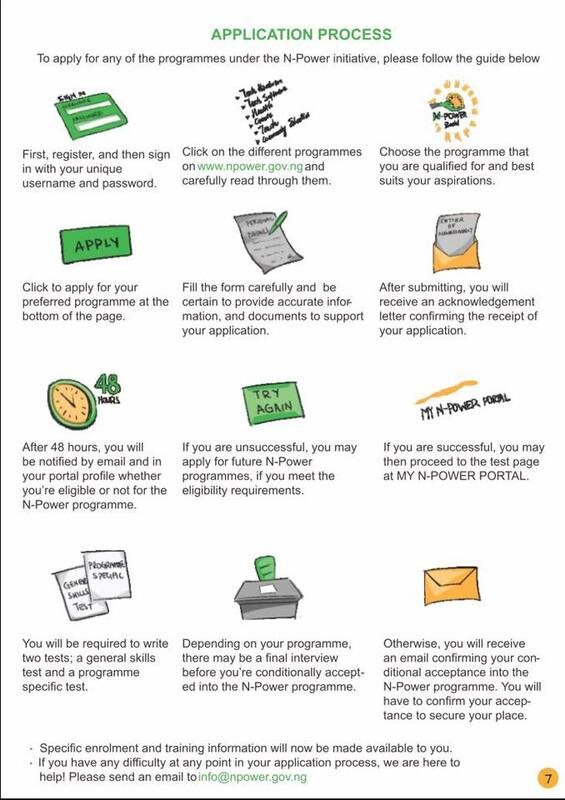 Find below an infograph that explains the step by step process to apply for the Federal Government’s N-Power initiative. If you do not understand what the initiative is all about, kindly click here to read. Have you heard of the Mobile Maximisation and Advancement Masterclass? The perfect opportunity for you to empower yourself. Lukmon Fasasi and friends would be teaching OAU Students how to develop websites and mobile apps right on from their Mobile phones this weekend. Note: No prior knowledge of CODING, HTML or CSS is needed. Just come with Android Phone. The Price for the class is currently N1,500 which is expected to double by tomorrow. However, OAU Peeps News Agency would be subsidising this payment for 10 candidates, who would then be required to pay just N1,000. "What is the full name of the founder of OAU Peeps News Agency?" You can send your answers to 08063429623 (SMS or WhatsApp) or simply tweet at us @oaupeeps or mention OAU Peeps in a Facebook post containing the answer. Don't forget to use the hashtag #OAUpeeps and #MMAM in your post. The management of Obafemi Awolowo University will not go against the directive of the federal government that all universities should not conduct post UTME, Insider News has reported. The Public Relations Officer of the institution, Olanrewaju Abiodun said "OAU is owned by the federal government, so we will not conduct our own Post UTME since we have been directed not to do so"
However, the former Executive Secretary, National Universities Commission, NUC, Professor Peter Okebukola, has told Vanguard that Nigerian universities deviated from the initial agreement NUC had with Vice-Chancellors in 2004 when it introduced post-UTME to screen candidates on oral interview and written essay. The Entire OAU Peeps Team hereby use this medium to wish the OAU and Larger Muslim community a sound health and Mind in the Holy month. We say Ramadan Kareem! He was from Oshimili North Local Government Area of Delta State. He played as a defender for Super Eagles of Nigerian and several football clubs. Apart from the Nigerian national team, Keshi coached the Togolese and Malian national teams. He was the only coach to have taken the Togolese team to the World cup championship till date. He made 64 appearances for Nigerian national team and scored a total of 9 goals. He played the defensive position. He was confirmed dead by Ben Olaiya. Olaiya speaking to Vanguard Sport Editor, Tony Ubani on phone shouting Keshi’s nickname said ‘Tony yes the Big Boss is dead the Big boss is dead’. Following the drama that ensued when the popular music act, Gabriel Oche Amanyi, popularly known as Terry G slapped a disk jockey on stage for swapping his song for another artiste's song as a way of telling him to leave the podium. The Disciplinary Committee of the DeeJays Association of Nigeria (DJAN) is not taking the violent act lightly as the Association has released a circular to ban the songs of the Benue State born artiste. However, the musician has taken to his Instagram page to apologise to DJ Jimmy Jatt, DJ Phreez and the entire DJAN for his behaviour, claiming in his words the without them, his music would be "...a total #nonesense"
The Non Academic Staff Union of the Obafemi Awolowo University shut down the university's main gate in a bid to protest the alleged illegal appointment of Professor Ayobami Salami as Vice Chancellor of the Institution. The Union's action led to the prevention of buses from entering into the University campus. The Union also stalled the ongoing Departmental and Faculty registration of the Freshers and also halted the Library registration, after which its members took to the University Emotion ground to Sing songs of Protest. Sequel to the appointment of Professor Ayo Salami as the new Vice Chancellor of the Obafemi Awolowo University, the Non Academic Staff Union has come out to reject the former Deputy VC as the new VC. Reports from an exclusive chat of the Insider News Network with the chairman of NASU, OAU, Comrade Wole Odewunmi, confirmed the appointment of Professor Salami. However, the chairman faulted the process that brought in the new vice chancellor, stating in his words, "we will protest the illegal appointment that was made from Abuja, Prof Salami should come and tell us he is the new vice chancellor, in fact we are heading to Osogbo federal high court tomorrow (7th of June), However we will not go on strike, we will stay and fight the battle". Authorities of the Obafemi Awolowo University, Ile Ife has ratified the appointment of Professor Ayobami Taofeek Salami as the new vice chancellor of the institution. Prof. Salami was the immediate past Deputy Vice-Chancellor (Academic) of the institution. He graduated with a B.Sc degree (2nd Class Upper division) from (then) University of Ife (now Obafemi Awolowo University, Ile-Ife) in 1986 before he bagged an M.Sc degree from Obafemi Awolowo University in 1989 with a specialty in Land use and Natural Resources Management. He capped it up with a Ph.D degree from the Obafemi Awolowo University, Ile-Ife in 1996 having obtained, in 1990, a Post-Graduate Diploma in Remote Sensing Applications: Training in Environmental Data Generation/Handling and Geographic Information System. 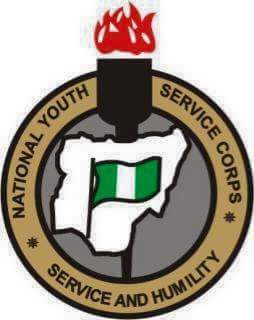 The Management of the National Youth Service Corps wishes to inform all prospective Corps members that the President, Commander-in-chief of the Federal Republic of Nigeria, President Muhammadu Buhari has approved and released funds to the Scheme to hold its planned Orientation course. Consequently, Management of the Scheme has scheduled the 2016 Batch A Stream 11 Orientation course to commence from MONDAY 13th JUNE to WEDNESDAY 29th JUNE 2016 Nationwide. Prospective Corps members are expected to log on to the NYSC Portal to commence printing of their Call-up letters from TUESDAY, 7th JUNE 2016 by 12noon as the earlier printed Call-up letters are now invalid. While those who did not subscribe for online printing should start collection of Call-up letters from THURSDAY 9th JUNE from their various institutions of graduation. 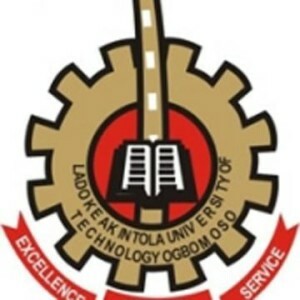 The Student Union Government (SUG) of Ladoke Akintola University Ogbomoso, has been suspended till further notice, this according to a release by the university management. The development was made known to the university community and the general public after a meeting of the university management. The union activities were said to have been suspended as a result of violence that erupted after the SUG election which took place on Thursday, June 3. The Student Union bus and some university properties were burnt in the violence. 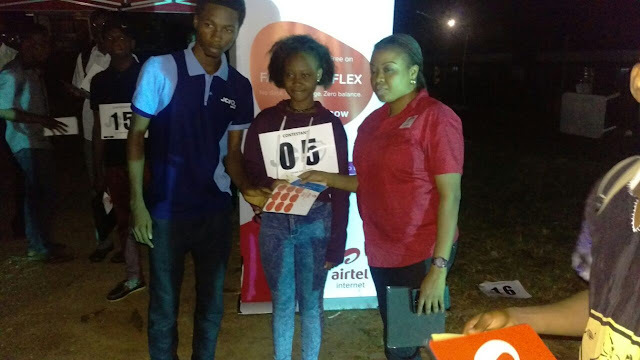 Report has it that some students of the university trooped out to show displeasure at the conduct of the poll after the winners were announced by the Electoral chairperson. However, there are ongoing investigations into the violence so as to bring the perpetrators of this act to book. Students have since been calling for the cancellation of the election. OAU Peeps will continue to keep you abreast of new developments. Our media are aimed at also creating a great opportunity for the voiceless and commoners with unheard voices within and beyond OAU Community to speak their mind objectively. OAU Peeps News Agency among many other redefining virtues champions Freedom and Justice. OAU Peeps News Agency creates an avenue for young, aspiring, talented and developing Journalists and Media practitioners to build their journalistic capacity by offering them the platform to express themselves and practice in the modern style even right from when they are still students.